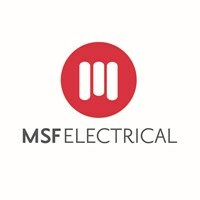 MSF Electrical LTD - Electrician based in Currie, Midlothian. At MSF Electrical we are SELECT registered Approved Electricians Trained to the latest 18th edition of the wiring regulations. We have over 20 years experience in carrying out domestic and commercial electrical work. For domestic customers we do everything from moving/adding sockets and lights to upgrading fuse boards to full and partial rewires. We can carry out all landlords electrical safety checks and fit new smoke and heat alarms. For commercial customers we are fully capable of carrying out all 3 phase works along with our other electrical services. We can also install fire alarm systems and emergency lighting to ensure your building is fully compliant.